As the old saying goes, golf is a game of inches. Any minuscule error in your swing or stroke can be the difference between winning and losing. Putting, in particular, is one of the most difficult things to do in all of sports. Reading the break correctly. Striking the ball at the right speed. Keeping your putter on a straight line from your back stroke to your follow through. Falter even slightly at any aspect of this process and you’ll get pars where you should be getting birdies, and bogeys where you should be getting pars. Your scores will slip away from you without you even realizing what happened. But aside from practice and natural ability, what can be done to ensure that you’re sinking the clutch putts that will keep your score low? Well, choosing the correct putter would be a great place to start. If you’re missing out on the low scores of your life by mere inches, these putters could be the magical elixir your golf game has been looking for. When it comes to innovation in golf putters, Odyssey is always at the head of the pack. From their iconic Two-Ball putter, to their long-shafted (and now banned on the PGA Tour) belly putters, they have provided amateur and professional golfers alike with the absolute best in modern putting technology. It should then come as no surprise that the #1 pick on our list is an Odyssey putter. 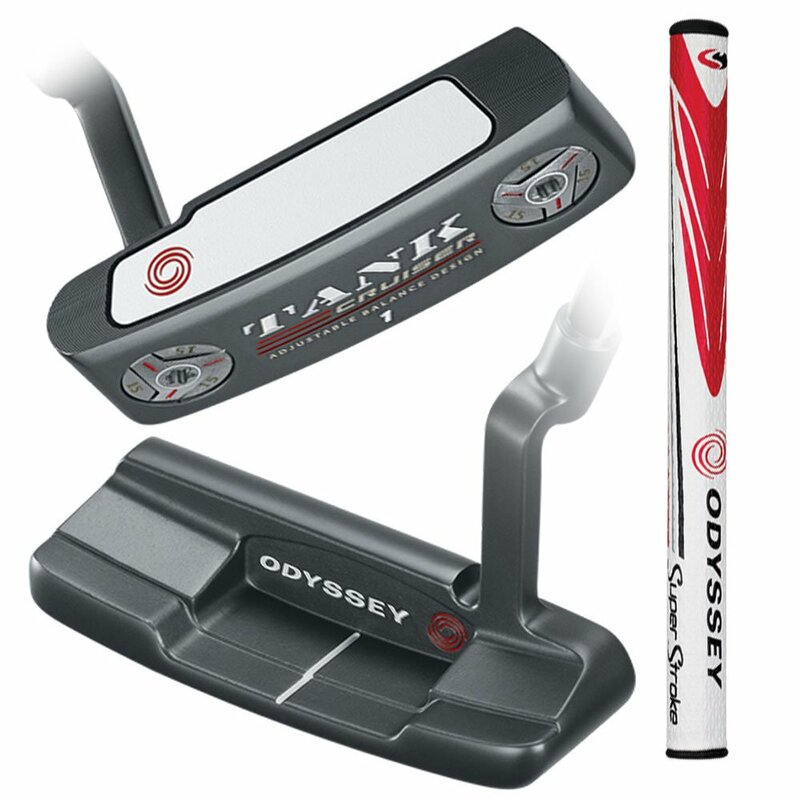 And that Odyssey putter is the Odyssey Works Versa 2-Ball Fang Tank Putter. This putter combines a heavy-weighted head, exceptional balance and alignment, revolutionary face, and easy-to-control grip and shaft to produce a putter that offers golfers equal parts touch, feel, and consistency. The simple act of standing over a golf ball with this putter in your hand will make you feel light years more confident in your putting ability than you’ve ever felt before. Key to the 2-Ball Fang Tank’s success is its incredible balance and alignment. The 2-Ball Fang Tank takes both the 2-ball design, and fang design of previous Odyssey putters and combines them to give the putter an incredible balance and alignment. Proper alignment is as easy as putting the putter down behind the ball and getting into your putting stance. The putter does all the work for you, while also maintaining an incredible balance. This balance ensure that your stroke will stay in line, and will greatly lessen any chance at mishits or poor ball striking. The head of the 2-Ball Fang Tank is heavier than any Odyssey putter head has ever been before. You might think that this would make the putter more difficult to control. But, in reality, the added weight allows the golfer to have more quiet hands, thus keeping his or her stroke more consistent and square at impact. The face of the putter replaces the old White Hot insert commonly seen in Odyssey putters with a new Fusion RX insert. The Fusion RX insert rolls faster than the White Hot insert, producing quicker natural roll and less skidding. Created through a combination of the White Hot insert and a stainless steel mesh design, the Fusion RX also gives the putter excellent feel to go with superb roll. This will give golfer’s both the touch they need on short putts, and the consistency of stroke they need on long ones. The 2-Ball Fang Tank is a longer putter than most, and it comes in two different lengths: 38 inches and 35 inches. Owners of the putter liked this aspect of it, in that it helps to reduce back strain. They also feel that it makes their putting stroke more natural, stating that it allows you to relax, line up your putt and hit it with confidence. It comes in both right-handed and left-handed models. Callaway, who now owns Odyssey, prides themselves on the endurance of their clubs, and have a policy in which they will replace any Odyssey putter that breaks within two years of a golfer owning it. As far as complaints about the 2-Ball Fang Tank go, there are very few. Some golfers think that it’s too quiet on impact, resulting in a less-than-perfect strike response. Others find the 2-Ball design to be distracting.But both of these aspects are completely up to preference. Not all two golfers are the same, and not all two golfers are going to find the same enjoyment and success in the same putters. But overall, if you’re looking for the putter that gives you the absolute best chance at success, the Odyssey Works Versa 2-Ball Fang Tank putter is the perfect choice. No other putter more expertly combines its various aspects into a sweeter brew; scientifically-proven balance and alignment, a revolutionary face that has never been seen before, the classic weighted mallet design popularized by Odyssey, and a longer-than-typical shaft, all coming together to produce, what many consider, to be the greatest putter in all of golf. Runner-up on our list is, once again, an Odyssey putter. 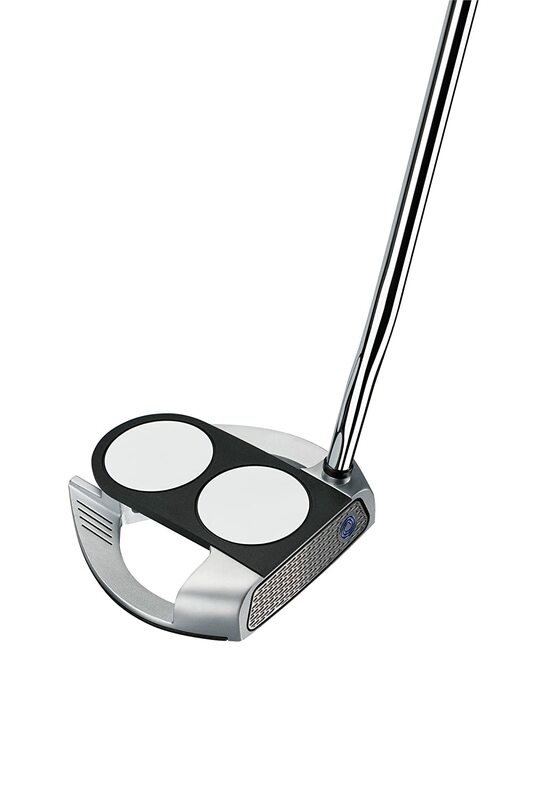 But, unlike the 2-Ball Fang Tank putter, this putter has a blade head instead of a mallet head. And, instead of relying on one unchangeable weight and alignment, this putter comes with re-adjustable weights that the golfer can mix and match to find the perfect balance for his or her stroke. As always, it’s created with the ever-advanced technological knowledge and expertise associated with golf’s #1 putter brand, Odyssey. This is the Odyssey Tank Cruiser 1 Wide Blade Golf Putter. For golfers who appreciate the feel of Odyssey’s mallet putters, but who are not fans of putters with mallet heads, this blade head offers an excellent alternative. Because of its tank design, the Tank Cruiser 1 offers a similar touch and feel to the 2-Ball Fang Tank, but it offers that touch and feel without the bulk and largeness of the 2-Ball Fang Tank. Not every golfer will like this, but for some, this is a positive. As mentioned earlier, the putter is made with an adjustable-balance design, which allows golfers to adjust head weights, as well as counter-balance weights. There are three different weights for both the head, and the counter-balance. For the head, you can choose between 365 grams, 375 grams, and 385 grams. For the counter-balance, you can choose between 5 grams, 15 grams, and 30 grams. Because the putter gives the golfer the opportunity to find the perfect weight and balance for his or her putter, the golfer can find a sweet spot that works perfectly with his or her putting stroke. Odyssey’s White Hot face insert is a classic aspect of many of their great putters. It provides a lively strike response, as well as a great deal of touch and feel for shorter putts. But, like the 2-Ball Fang Tank, the face of the Tank Cruiser 1 also sports a metal mesh design over the White Hot insert. This mesh design gets the ball rolling quicker and reduces skidding as much as possible. When working in tandem with the adjustable-weight design, it makes the club an excellent tool for feel putting. The grip is the popular SuperStroke grip, which is the fastest-growing putter grip on the PGA tour. It gives you a longer-than-usual gripping surface on which to position your hands and discover your desired gripping sweet spot. Like the 2-Ball Fang Tank, users laud this putter for its shaft length, as it allows them to stand more upright, and feel more comfortable over their putts, giving them the confidence they need to visualize the ball hitting the bottom of the cup. It comes in both left-handed and right-handed models so that any golfer can get in on the benefits. The Odyssey Tank Cruiser 1 Wide Blade Golf Putter and the Odyssey Works Versa 2-Ball Fang Tank Putter are the two best putters in golf today. While some golfers will prefer the mallet design of the 2-Ball Fang Tank, others will prefer the simplicity of the Tank Cruiser 1. In the end, it’s a total matter of preference. Both putters provide very similar results, but the heads give each putter their own separate feel. If you’re trying to decide between the two, test out both of them at length. Determine which one you can keep straighter through the putting zone. Determine which one feels the best on impact with the ball. Determine which one gives you the most control possible to sink both long and short putts. And then, make a choice. Founded in 1978 by Roger Cleveland, Cleveland Golf started as a company that made replicas of famous golf clubs. But, as time moved on, the company became famous for its wedges and made great strides in developing other promising golf clubs of their own. These days, they specialize in wedges and putters, and are always helping to push the technological advancement of golf clubs. 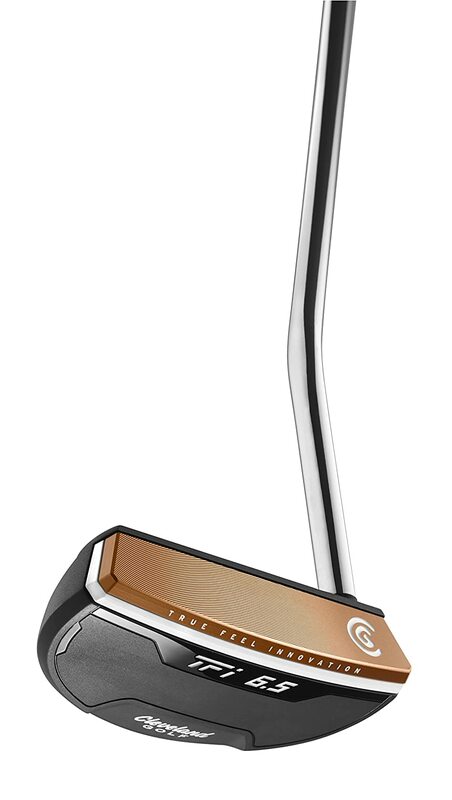 Right now, their premier putter is the Cleveland Golf TFI 2135 6.5 Putter. Possessing both the look and innovation of a great putter, it provides top notch weight and alignment to accompany a back-loaded head, and aluminum face, producing a quick, even roll with minimal skidding. The high-pitched “ping” sounded created when the putter meets the ball is music to any golfer’s ears, giving him or her the indication of a ball well struck. As was stated, the TFI has a copper face backed by a copolymer insert. This makes the face very light, which allows most of the weight to be put in the back of the putter head, producing a larger sweet spot for when a putt is struck off center, and reducing mishits. In a game that offers very little forgiveness, allowance like that is more than welcome. The putter comes with a specialized alignment line, which is raised to exactly 21.35 millimeters; the exact radius of a golf ball. This is important because, by placing the alignment line at exactly half way up the ball, the creators of the putter ensure that the line never moves. It will always appear to be on a straight line, regardless of whether the golfer putts with his or her eyes inside the line of the target, outside the line of the target, or directly in line with the target. Golfers will be able to easily see if there stroke is on a straight line. The shaft is shorter in length than the shaft on the Odysseys, but that just means that it is a typical-length shaft. It can be ordered at 33, 34, or 35 inches long. Unfortunately, the putter comes only in right-handed models, so lefties are out of luck until Cleveland Golf decides to change that. Owners laud the putter for both its excellent distance control on long putts, and subtle feel on short putts. Some owners were not especially fond of the putter’s grip, but you can easily replace it with the grip of your choice. Some owners found the head to be too heavy, and had trouble controlling it on their back stroke. But, most owners loved its enlarged sweet spot and consistency. Regardless of what kind of putting stroke you have, the Cleveland Golf TFI 2135 6.5 Putter gives you the confidence and alignment you need to sink putts both short and long. Great putting requires a lot of practice. Put in the practice necessary and this putter will give you as good a chance as any at becoming a true master of the green. If you don’t have the money to be spending on a high-end putter, there are a number of great low-end alternatives that that you can buy for only about a fourth of the price of a high-end. Our choice for a putter that meets this criteria is the Pinemeadow Golf Men’s PGX Putter. Pinemeadow Golf makes quality custom golf clubs at a fair price and sells them through their website and in select stores across the country. The magic of the PGX lies in its ability to keep its user focused in on the putting zone. With its bright white head color, long alignment line, and expertly-created alignment and balance, the PGX makes it impossible to to do anything but focus on the task at hand. 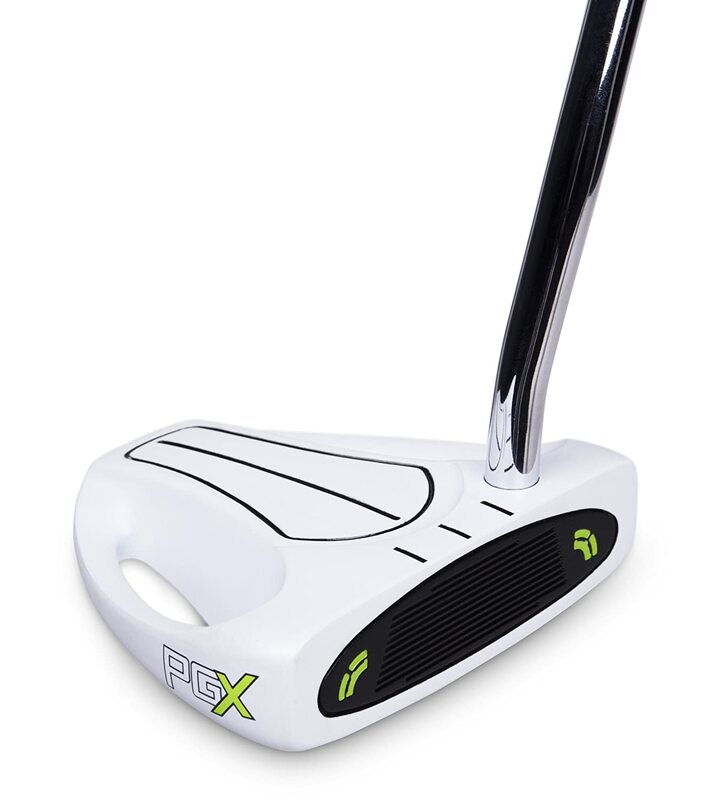 Like the Odyssey Two-Ball Fang Tank, the PGX has a large mallet head which weighs in at 380 grams. But unlike the Fang Tank, the PGX’s head is bright white instead of metallic. This bright white head gives the putter a superb contrast between the color of the green and the color of the putter, allowing the golfer to truly focus in on the putt. To further help the golfer focus on his or her putt, the head boasts a long alignment line, and three intersecting lines to alert the golfer of any misalignment through the course of his or her putting stroke. The PGX putter measures in with a 34 inch shaft that is accompanied by a soft, white grip, giving the golfer excellent control and feel. Unfortunately for lefties, there are only right-handed models available. Some owners swear that, even counting the Taylor Mades and the Odysseys and other putters of their ilk, the PGX is the best putter they’ve ever used. If there’s a complaint about the PGX, it’s that its shaft is a bit wobbly. Some owners fear that it won’t hold up well over time, but no one has reported any cases of it actually breaking. Chances are it’s just another unique aspect of a very unique and innovative putter. If you’re stuck searching for a putter that has a price somewhere between a garage sale putter and a high-price luxury putter, the Pinemeadow Golf Men’s PGX Putter could be just what you’re looking for. If you’re searching for the putter in stores and having trouble finding it, you’re not out of luck. The PGX can be bought through Pinemeadow Golf’s website and on online stores such as Amazon. You don’t have to miss out on one of the best putters on the market. Order yours today, and experience the touch and feel felt by the pros, but for a quarter of the price. Some putter heads are small, simple and light, while others are large, complex, and heavy. While some golfers might enjoy the effortlessness of letting a large putter head do all the work, other golfers might feel that they have more control over a putter with a small head. The key is to figure out which type works best for you. Don’t impulse buy on a putter. Try out tons of them and see which one you feel most confident with. Sometimes you pick up a putter and it makes you feel like there’s no way you can miss with it. There’s not always a lot of rationale behind it. You just find groove with it and it’s as if you and that putter were meant to be. Trust your gut. When it comes to the balance of a putter, there are two different kinds: face balanced and toe balanced. If, when laying the putter in your hand, the face of the putter points up, it is a face balanced putter. If the face of the putter points towards the ground, it’s a toe balanced putter. The type of putter you should purchase depends on the type of putting stroke you use. If your stroke tends to go straight back and straight forward through the putting zone, you should look for a face balanced putter. If your stroke involves a slight circular motion on your back stroke and on your follow through, you should look for a toe balanced putter. Each of these different kinds of putters is created to work in harmony with these different types of strokes. Golfer’s come in all shapes and sizes, from short and stocky, all the way to tall and lanky. Your height, as well as arm length, directly affects the length of the putter that you should use. Ideally, with your head over the ball, your shoulders slouched slightly, and your arms kept as straight as possible, you should be gripping your putter at the very top of the grip. Gripping too far down, or off the grip causes you to lose a lot of control over the putter and hinders your ability to sink important putts. Most putters range from between 33 inches and 35 inches, though there are putters out there that are both longer and shorter than that range. If you’re having trouble finding one that meets your length requirements, you can always purchase a custom shaft. Putters can range anywhere from $2.00 at your local superstore to $1,500.00 at a custom golf store. And, while the $2.00 putter probably won’t be the greatest one you’ve ever put in your hands, you certainly don’t have to spend $1,500.00 to find one that is. You don’t want to mistake a high cost for a great putter. Putting is such a delicate process with so many minuscule variables that it’s impossible for any two golfers to share exactly the same preferences. What works for one golfer isn’t necessarily going to work for another. Set a budget that you want to stay within and try out as many putters as you possibly can that fall under that price. A great putter is independent of the price attached to it, and anything that feels right to you is what you should go with. At the end of the day, personal preference is the #1 criteria for choosing a putter. To make important putts, a golfer needs to feel confident that the putter in his or her hands is going to roll the ball into the hole. So when you’re searching for a new putter, think about your game. Think about what your stroke is like. Is it better suited for a small, simple putter head, or a large, complex one? A face balanced putter, or a toe balanced one? Once you’ve accumulated this information, analyze it and make an informed decision about what type of putter would work for you. The four putters listed here are some of the most popular putters on the market. The reason for this is that they are expertly created to suit the putting strokes of golfers everywhere. You don’t have to purchase one of these four putters to get low scores and sink clutch putts, but they certainly have a reputation for helping tons of golfers to do so.